A bestseller! An entire year of daily prayers and readings based on the ancient practice of the "Daily Office." Also available in eBook format. For quantity discounts on 20+ copies, please call us for a quote. 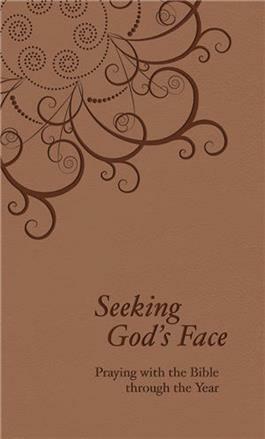 From the foreword by Eugene H. Peterson: "Seeking God's Face melds prayer and Scripture into a companionable guide for becoming a participant—both listening and speaking—in the great salvation conversation that is the Christian gospel." A soft leather-look cover and placeholder ribbon make this book a special gift. Phil Reinders is the Senior Minister of the Knox Presbyterian Church in Toronto, where he lives with his wife, Betty, and his children, Owen and Lily. Some of Phil's more transcendent moments have involved most anything in the mountains, listening to great music, fine wine, good movies, strong coffee and even better books. He loves the creative process of writing and photography. You can read more of Phil's thoughts at his blog http://squinch.net.